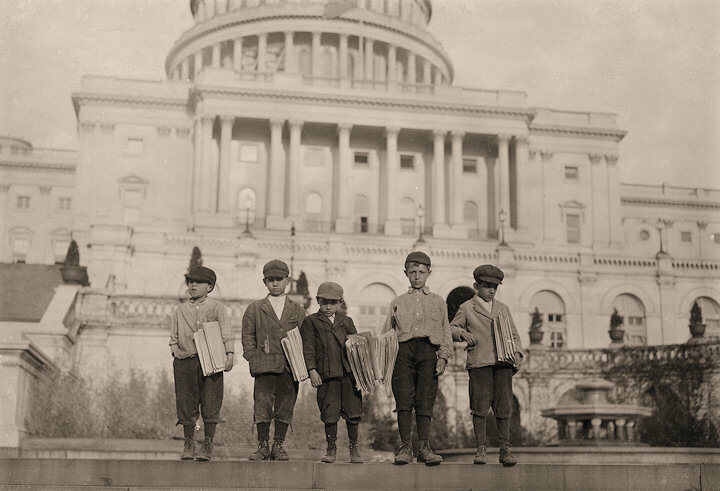 Newsies: A group of newsies selling on the Capitol steps. Tony, age 8, Dan, 9, Joseph, 10, and John, age 11. Washington, D.C.